Members of the community covered by payment for ecosystem services schemes such as the Bolsa Floresta program are given training in sustainable agricultural techniques to discourage environmentally damaging activities. Photo credit: ADB. The importance of forest ecosystems has historically been largely undervalued. Forests not only provide people with a reliable food and water supply, but also provide livelihoods for communities living nearby. Large forest ecosystems play an important role in various regional and global-scale climate regulation processes, serving as carbon sinks that absorb increasing global CO2 emissions. However, despite the significant environmental service they provide, rainforests continue to decrease in size due to deforestation – a major contributor to the effects of climate change. The Amazon Rainforest, located largely in the Brazilian state of the Amazonas, comprises about half of the earth’s remaining rainforests. Deforestation in the Amazon is often attributed to slash-and-burn activities that give way to cattle pastures, commercial agriculture, and infrastructure improvement. To curb deforestation in Brazil, the government and some private institutions initiated a number of innovative payment for ecosystem services programs in a bid to protect the forest ecosystem and promote sustainable livelihood practices for the communities living in the area. This is a summary of Virgilio Viana’s presentation at the 6th International Conference on Eco-Compensation and Payments for Ecosystem Services. The most successful of these payment for ecosystem services schemes in Brazil is the Bolsa Floresta program. Initiated in 2007, Bolsa Floresta is widely considered as the biggest payment for ecosystem services program in the world. The program rewards families living in protected areas who agree to support traditional environmental services provided by tropical forests and commit to zero deforestation. 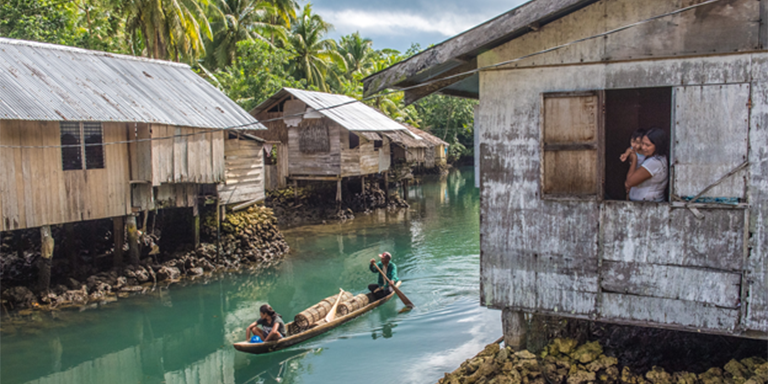 Bolsa Floresta Income aims to improve the economic development of communities living near protected areas by giving them annual investments to support income-generating activities which are in line with the program's management plan. Examples of such as sustainable eco-tourism, aquaculture, small-livestock breeding, and natural honey production. 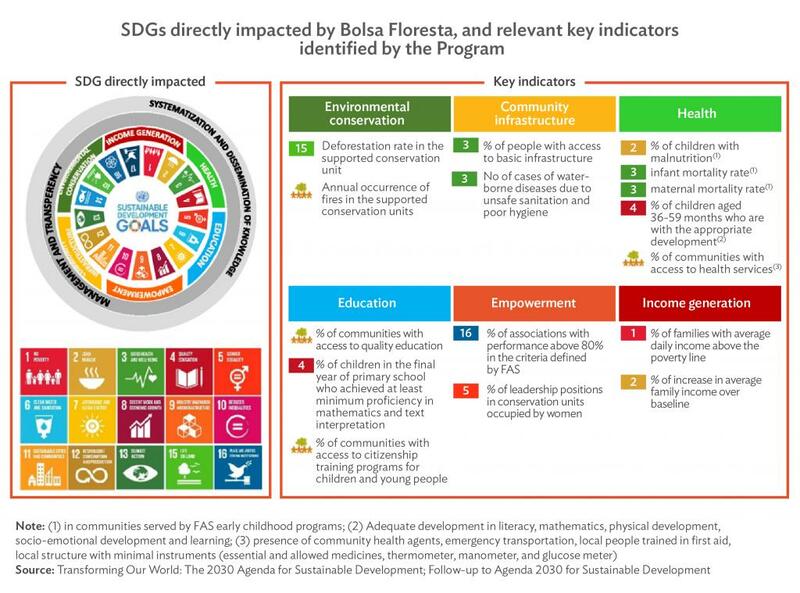 Bolsa Floresta Social aims to improve the quality of life of local communities, investing in social infrastructure such as education, health, communication and transportation. This is done in collaboration with public sector institutions. Bolsa Floresta Association aims to empower local communities by supporting associations for the residents in order to strengthen the organization and social control of the Program. Bolsa Floresta Family is a cash component that gives monthly rewards to the female representative of households that have formally committed to uphold forest management practices, including zero deforestation. The program’s underlying strategy is to make standing forests more valuable than if they were cut. This means redirecting economic activities away from environmentally destructive activities such as logging. In order to do so, people in beneficiary communities need to educated on how to manage forest ecosystems more wisely so they can shift to land use practices that are more sustainable. This feeds into the program’s second strategy of providing relevant education as the key for the sustainable development of the Amazon. The program invests in building small university facilities such as classrooms and dormitories in protected areas to ensure that the community is given the information and skills that focus on practical solutions for the sustainable development and conservation of the forest. The third strategy is investing in the development of social technologies to ensure participatory planning, empowerment, evaluation and monitoring. By the program is able to help families to establish ownership over the program’s conservation activities and build trust with the community. Monitoring of indicators and results of the program indicate the program’s effectiveness in curbing deforestation activities. 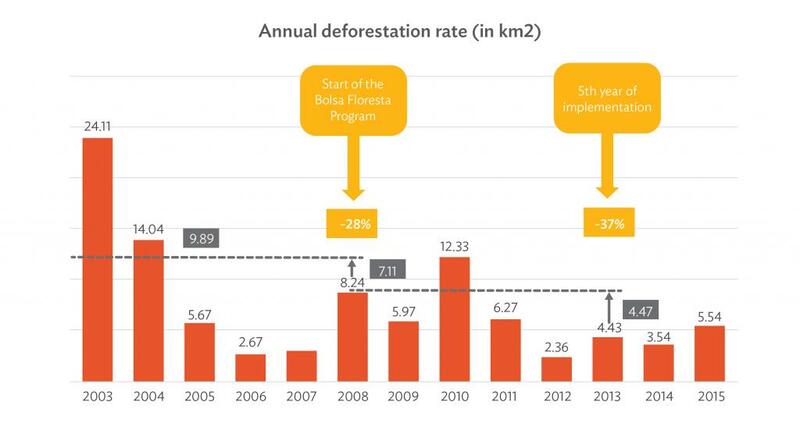 Since the program’s implementation, the annual deforestation rate improved from -28% in 2008, to -37% after the 5th year of the program’s implementation in 2013. The program is also improving the lives of beneficiary families. Surveys were conducted in 2011 and 2015 to measure the perceived quality of life of participating communities. 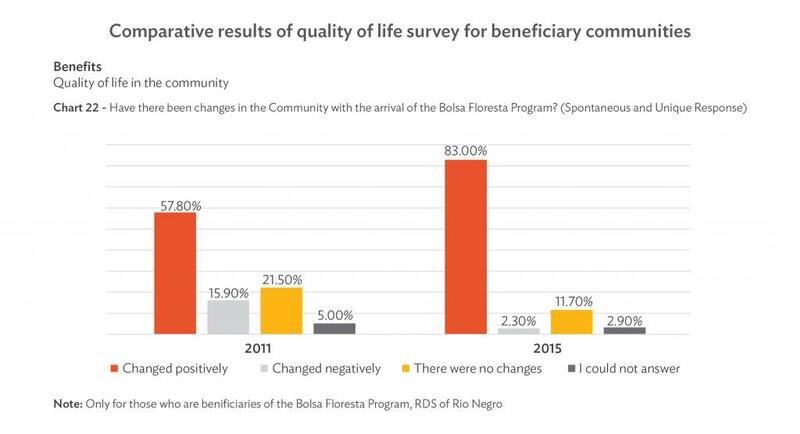 About 57% of the respondents from the 2011 survey agreed that the program positively impacted their quality of life, with the number increasing to 83% in the survey conducted in 2015.
a bottom-up approach, wherein targets were identified according to its relevance to the people living in beneficiary communities. The tracking of key indicators is done in a participatory way in order for communities to observe the progress themselves, putting them in a position to discuss how to improve the achievement of the program’s targets. While there are several payment for ecosystem services initiatives currently being implemented in various parts of Brazil, only a small number have gone beyond the pilot and small project scale. Scaleable payment for ecosystem services schemes needs to have political support, appropriate funding, and flexibility to adapt to the different conditions and realities of target ecosystems and communities. These schemes also need to look into the efficiency, efficacy, and equity to ascertain their quality. Recent studies show that tropical forests all over the world are turning from sinks to sources of carbon, including in Southeast Asia, where forests are burning more frequently than in past years. This can also be connected to with increasing government infrastructure budgets, as the clearing of forests to make way for roads increase the rate of deforestation in different regions. Bakkegaard, R.K. and S. Wunder. 2014. Bolsa Floresta, Brazil. REDD+ on the Ground: A casebook of subnational initiatives across the globe. Bogor, Indonesia: Center for International Forestry Research (CIFOR). Viana, Virgilio. 2008. Bolsa Floresta (Forest Conservation Allowance): an innovative mechanism to promote health in traditional communities in the Amazon. Sao Paolo, Brazil: Estudos Avancados 22(64):143–53. Viana, Virgilio. 2013. Participation in the design and implementation of the Bolsa Floresta Program: history and lessons learned. Blog. October 30. Virgilio Viana is one of Brazil’s foremost experts in forestry and sustainable development. He is currently the Director General of the Amazonas Sustainable Foundation (FAS), an organization charged with providing the institutional framework to market environmental services of Amazonas’ forests. He also served as Brazil’s first Secretary of State for Environment and Sustainable Development for the state of Amazonas from 2003 to 2008. Professor Viana coordinated the Brazilian consultative process that led to the establishment of the Forest Stewardship Council (FSC) in 1993, and served as founder and President of IMAFLORA, the first Latin-American-based forest certifier. He received his PhD in Evolutionary Biology from Harvard University, and did post-doctoral work on sustainable development at the University of Florida.